MAKE OR BREAK: This Week Is Critical! So much hangs in the balance right now. The concluding trading week of October 2018 could encapsulate, within its five sessions, the answer to the question: Has the business world recovered from 2008 in a manner that justifies global QT (Quantitative Tightening) or not? Essentially, this is the question at the core of all of this commotion. Central banks are out of the game, as Wealth Research Group had predicted in February of this year, when we laid out the importance of fiscal policies (tax cuts, deregulation, pro-business mindset) over monetary ones (slashing rates, injecting liquidity). Back then, we explained that the traditional tools the central banks have at their disposal, which are the manipulation of interest rates into artificially low levels, the buying of Mortgage-Backed Securities, the purchasing of Treasury debt, and the targeting of certain inflation levels, have exhausted themselves and are beginning to have a counterproductive impact. Here we stand, only six months later and, virtually, all central banks are exiting trades, selling debt, shrinking their balance sheets, and letting the rest of the global investment community – governments, institutions, corporations, individuals, funds, and algorithm software, find the new equilibrium. In 2006, when I was 22 years old, I passed my private pilot’s license tests and became certified. In the wings of planes, there are flaps. These are mostly used for landings, as they artificially create drag and allow the plane to slow down faster than it would just by adjusting the throttle. When you use them, in the first instance, the nose goes up. The pilot needs to push down on the stick to balance this out. The reverse is true as well. As you stop using the flaps and pull them up, the nose wants to dive, so you hold the stick up. Central banks have decided to take the flaps up, so the nose is diving, but investors are not holding the stick up to soften the blow. Instead, they are allowing it to fall. When a plane does this, the effect isn’t ongoing. At some point, which no one knows precisely when it occurs, physics takes over and levels things off, so in the case of buyers and sellers. All we are doing is realigning ourselves in the age of QT to new multiples (lower P/E ratios), new expectations (smaller profits), and to the idea that this is the moment of truth, in essence. If companies, businesses, have become sound and mindful of debt, if their CEOs have deployed funds correctly, if the consumer economy is strong, if cash reserves of corporations and individuals still favor risk to fixed-income, then this is a GIANT buying opportunity, but if the game has shifted, we’re going to enter a bear or a sideways market. Check this out: As the image above shows, we have just entered a phase, where cash isn’t trash anymore. In other words, if you hold cash in the short-term (3 months), to remain liquid, you’re not being punished by inflation for that decision. Therefore, change your mindset, as we are living in a new era altogether. Is it any wonder, then, that the markets are throwing a tantrum? Have you ever seen a drug addict in the first few days of withdrawal? It is not a pretty sight. Our drug was central bank liquidity and they are taking away the punch bowl. The answer is that it is impossible to trade this way; it is not even profitable, if it were. Sometimes, it is hard for investors to wrap their minds around the FACT that it is better to hold stocks through corrections than it is to trade in and out, but thousands of back-testing studies have proven this, without a shadow of a doubt. Notice the level of stimulus that was injected into the jobs market, nationwide. Look at the times of all previously low unemployment stats, and you’ll have a crystal ball into the future. 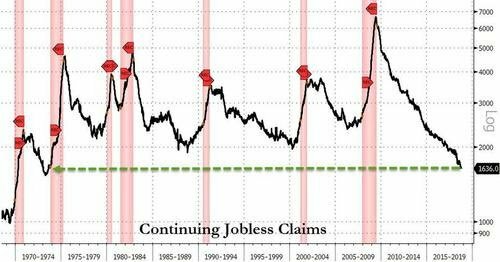 In the late 1970s, inflation was running rampant, for example, as unemployment rates were at the lowest and heading higher. Millennials, for the first time in their lives, see their checking accounts in the green. They are negotiating better salaries, and now they are getting a handle on their student debt servicing, while they get anxious about buying their first home, using a mortgage, or going on a shopping spree. 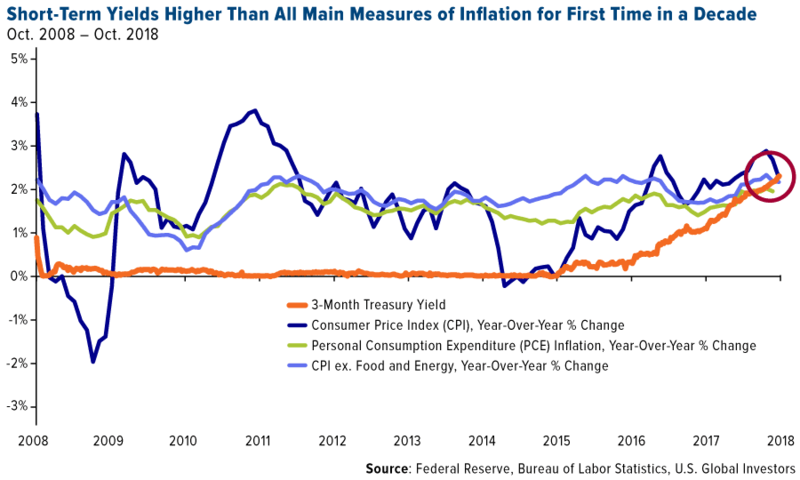 Inflation, both from the consumer side and from the manufacturer end, is rising, therefore. All but the NASDAQ index are in correction mode, so this week, if the NASDAQ drops another 2.4%, we will experience a comprehensive correction. This is not new to long-term investors, who remember that in 2008, from the Lehman Moment and onwards, the S&P 500 went UP or DOWN by more than 5% DAILY, nearly 25% of the time! Volatility is back, and it is a phenomenal time to sell put options, again. In the coming weeks, I’ll show you how to take advantage of this to earn “free money,” the best kind there is. KOIOS Beverage (US: KBEVF) – Expect FIREWORKS!